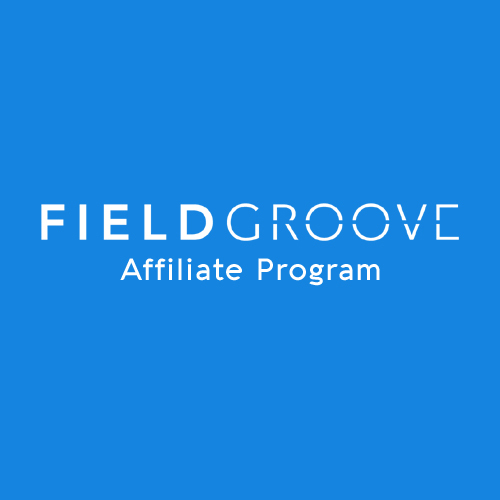 Getting started with FieldGroove? Need to import data from your old system? 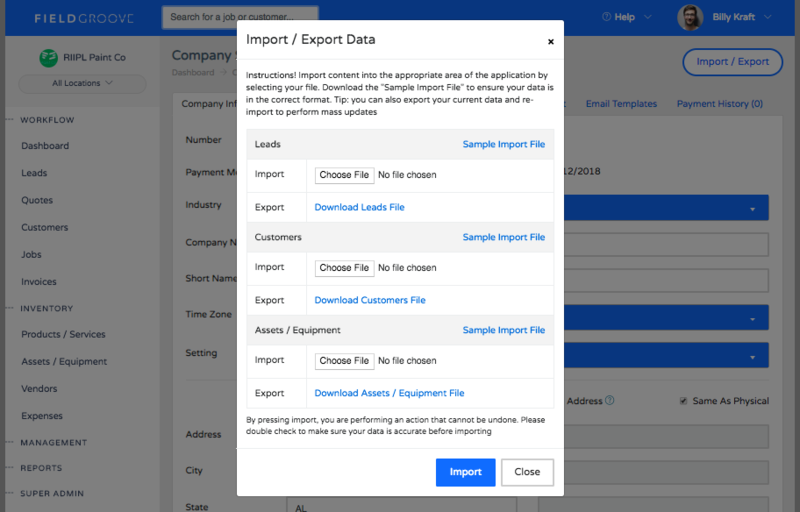 Just navigate to your company settings and click "Import / Export" in the top right. Download the sample file and paste in your existing customer's information to get going. Making the switch to a new system sounds complicated and not worth the time or effort, right? We've taken the headache out of that process all together. Onboarding your staff and customers is easy, and we'll even do it for you if you don't want to fool with it. Only administrators will have access to perform this action. 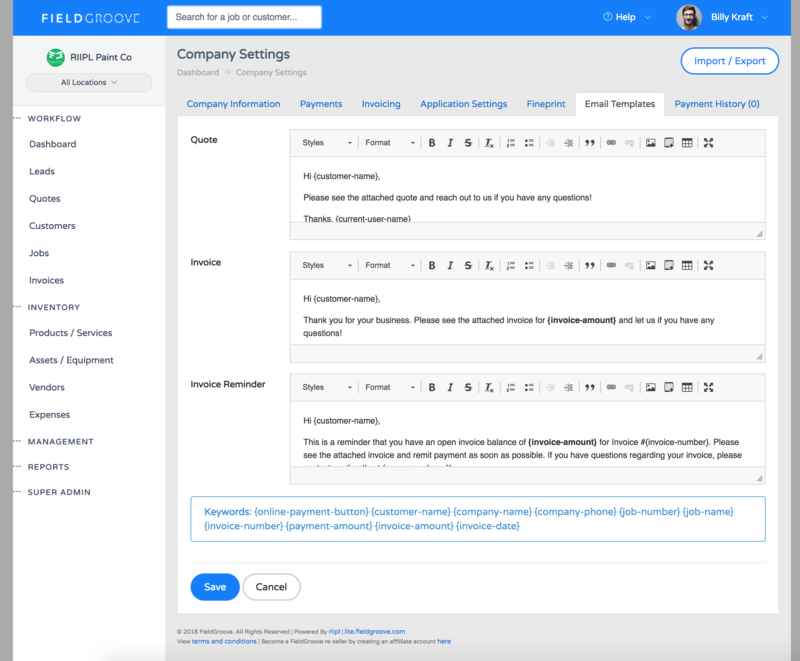 Simply navigate to your company "Settings" under the management heading. Now you should navigate to your leads and / or customers pages and see your customers now. Be careful when performing this action, because it cannot be undone. If you feel this is too advanced for you, no worries...send us the files with you customers from your old system and we'll handle it for you. 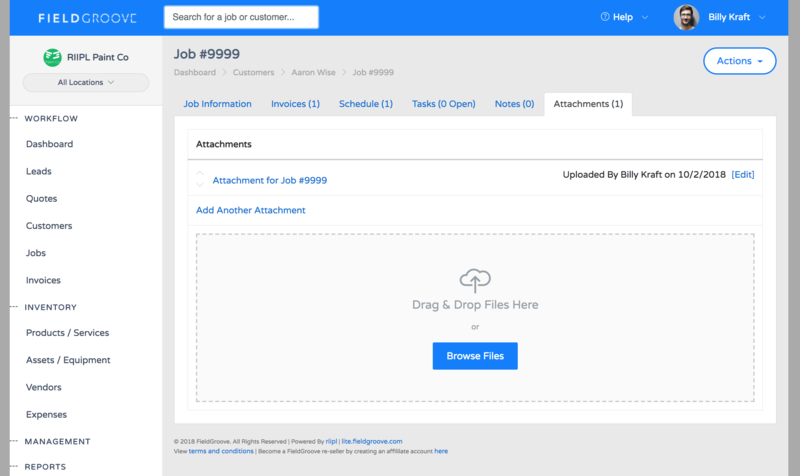 Add unlimited notes and attachments (signed agreements, design plans, photos, pdfs) to your customers, jobs, and leads. 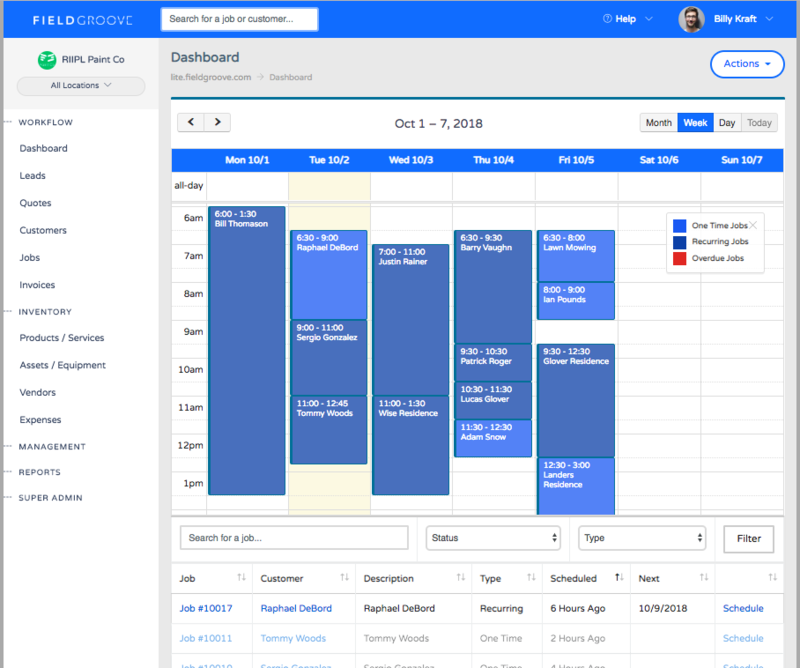 FieldGroove manages the chaos and organizes everything for you.